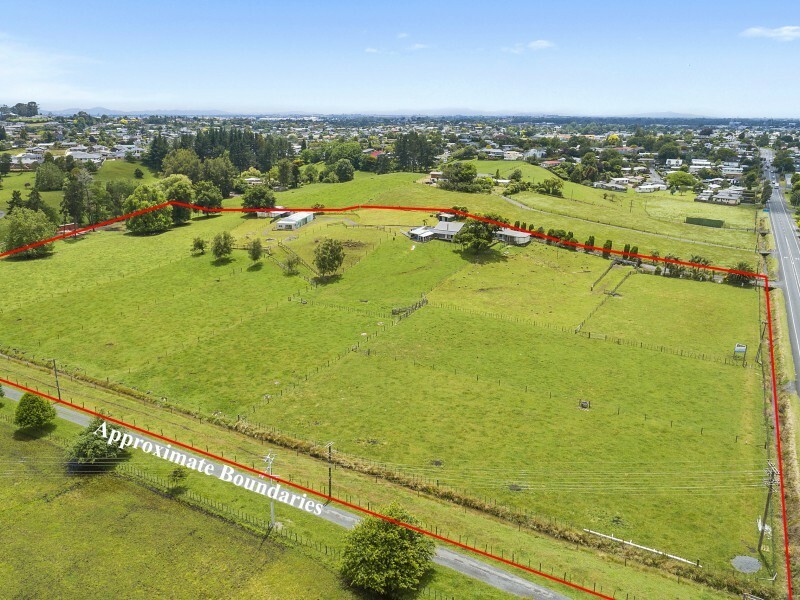 This 4.05ha property, designated Future Urban Zone within Hamilton City, presents the perfect opportunity to aggregate a fantastic parcel of land for future sale or development. Moreover, a great bonanza is in store for lifestyle buyers once subdivision consent is granted in the coming years. 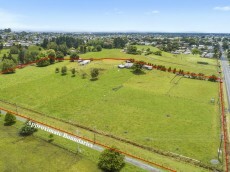 The site enjoys an elevated district outlook with uninterrupted views to Mt Pirongia and over the countryside. Acreage of this size and potential is a rarity within the city. The land is currently leased to a neighbouring farmer. It contains substantial infrastructure, including a super-sized shed with two offices, electric and manual doors, and power. The set-up is ideal for a large-scale home business. There is also a calf shed, stockyards and 12 fenced paddocks with water. Not only are the buildings discreetly positioned away from the home, they are easily accessed and have good parking. Like the home, offices in the large shed enjoy restful mountain and rural views. The main home is newly carpeted, has two separate living zones, a unique entertainment/conservatory area, a scenic deck and utility rooms. The kitchen is newish and orientated for the picturesque vista. Income is currently derived from the adjoining two bedroom flat, with open plan living. 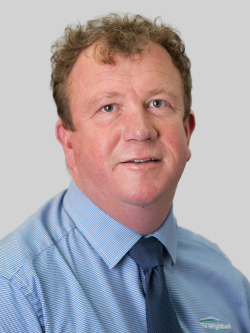 The flat could be effortlessly integrated into the home to create a four bedroom dwelling. The property is on town supply and bore water. It lies close to Dinsdale, Frankton, and SH 1 for commuting convenience. Waikato Hospital and the CBD are in easy reach.